I'm Tanzi, a 20 something college student who spends all her extra money on books and excessive amounts of coffee. 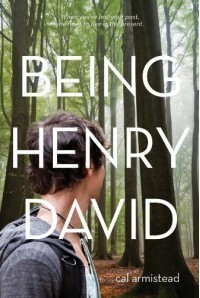 Being Henry David was a wonderful surprise of a book for me. It follows a teenager who wakes up in Penn Station, with no money, no ID, and no clue who he is. The only this he has is a copy of Thoreau's Walden in his back pocket. Using this as his only clue, the boy - who named himself Hank- goes on a journey to discover who he is, piecing it together little by little. Along the way he meets some great people and learns a lot about himself. This books had all the suspense I would expect form an amesia novel and more. I loved that we the readers get information as Hank does. Slowly piecing together his life. I also liked that I didn't see lots of the elements of the story coming. Their was some lovely characters in this book, and I really really enjoyed it. I did however get annoyed towards the end of the book and I wish their would have been a little bit more resolution. Also if I was in that situation, I would have called the police stat, but that would have made for a very short story. I laughed, I cried, and I was taken on a wonderful ride. This was a story about finding yourself, and it made me think a lot about the soul searching we all have to do to figure out who we are. I loved how even as pieces of his life fell together he still had to figure out who he wanted to be next. That was the take away for me. 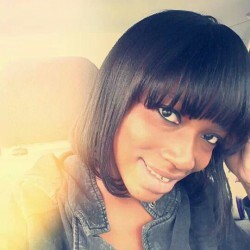 I know my Name is Tanzi, I know who I am. But there are still pieces of myself I am seem to be searching for. This book reminded me that I get to decide who I am, that I don't have to go looking for it, and also not to run from who I was, but to make a conscious decision to be the me I want to be now.